As the title suggest it’s mainly all about On-page SEO. If that blows a fuse in your head and you don’t know what it means, let me quickly explain… On-page SEO is basically the changes and tweaks you make to your site that will boost your rankings further up Google. 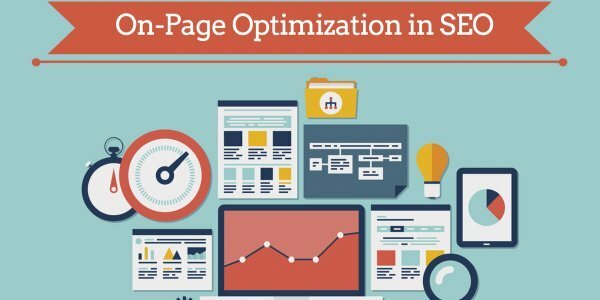 Now a lot of people ignore this and rather focus on the Off-page stuff (Off-page is backlinking and stuff), and don’t get me wrong, off-page SEO is WAY more important than on-page SEO but that doesn’t mean you should abandon it altogether. In fact, when done right, you can get a MASSIVE kick up the search engines and it only takes like 5 minutes to make these changes… So it’s definitely worth doing. Another thing you should be aware of, and this is before you even contemplate doing your on-page/off-page SEO… And that’s keyword research. In fact don’t even bother doing anything SEO-wise till you’ve done this. You can do all the On-page SEO in the world, but if you haven’t done your keyword research… You’re building the foundations for failure. I know I make it sound really bad but that’s because it is. Now if you don’t know squat about keyword research, then I recommend checking out this cool tool called Niche Finder. This tool is basically designed for people who don’t like the process of spending hours sieving through thousands of keywords at a time. All you do is put your root keyword in, something like Fishing, Bodybuilding or something really broad like that, and in the space of 5 minutes, Niche Finder gives you a bunch of keywords that get tons of traffic and have little to no competition! As you can see, I’m totally in love with Niche Finder as it makes Keyword Research a breeze to do. There’s a video all about it here if you want to learn more about it. So What’s Exactly In Da Video? Also, I’ll be covering a couple of Blackhat stuff as well. If you don’t know what Blackhat means, or does… It’s basically the dark side of Search Engine Optimization and it involves you breaking some rules and sites’ “Terms And Services” etc. Now you don’t have to do the Blackhat stuff, I’m just throwing them in there as optional extras. But I will say one thing… If implemented, they will HELP to boost your SERP’s rankings, but like I said, it’s your choice. Anyway I think I’ve given the video enough introduction, so here it is, with me and my strong Yorkshire accent, showing you some totally out of this world On-page SEO trickery… Enjoy! If you enjoyed the video, then please, feel free to hit one of those fancy buttons you see dotted around the site and share it with your friends whether it’s Facebook, Twitter, Digg… Or where ever your preferred hangout spot is. Great video as always.. 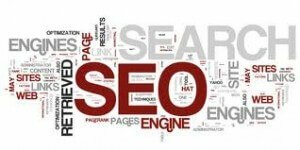 I to use the All In One SEO WordPress Plugin. IT works great…Keep up the great work to present us great INFO videos.. Thanks for that. Something of real value AND free! Thanks james… Great Videos .. I never forget to read your email.. and you are one of few people that i love to get email from…. Hi James, I hardly ever make a comment about a internet marketer(GURU), but with you I feel obligated, due to the value you bring within your emails.It’s like Christmas repeatedly when I see your name in my inbox(Email me all you want). I can’t believe you reveal the things you do, for FREE, when others would definitely charge for all of it. Thank you very much James, I think i go back to the basics again. I have been using a wordpress seo plugin now from yoast and some other plugins but i dont se the results like you show here! ? what are the plugins that you use for your site’s. I just started a project with a friend of mine about quit smoking in the netherlands and i was wondering about the plugins to use. It would be helpfull, sinds we are trying to make some money. To be honest Brich, I must use around 30 to 40 plugins on a Blog like this one. However it does change from Blog to Blog, For example I would use different plugins for a Adsense Blog as to this one as I wouldn’t use the social network plugins etc. Well I wouldn’t call myself a Guru lol but yeah I know what you mean. Really glad you’re diggin’ my emails by the way. Thanks Thomas, glad you’re enjoying the videos. Value! Yeah you don’t get a lot of that in emails do you lol. Thanks for the heads up, buddy. That was awesome, but i was not able to find niche finder. I’m afraid Niche Finder is no longer for sale. This is quite a old post anyway so I would recommend checking out my latest posts on SEO as the guides are more reverent.